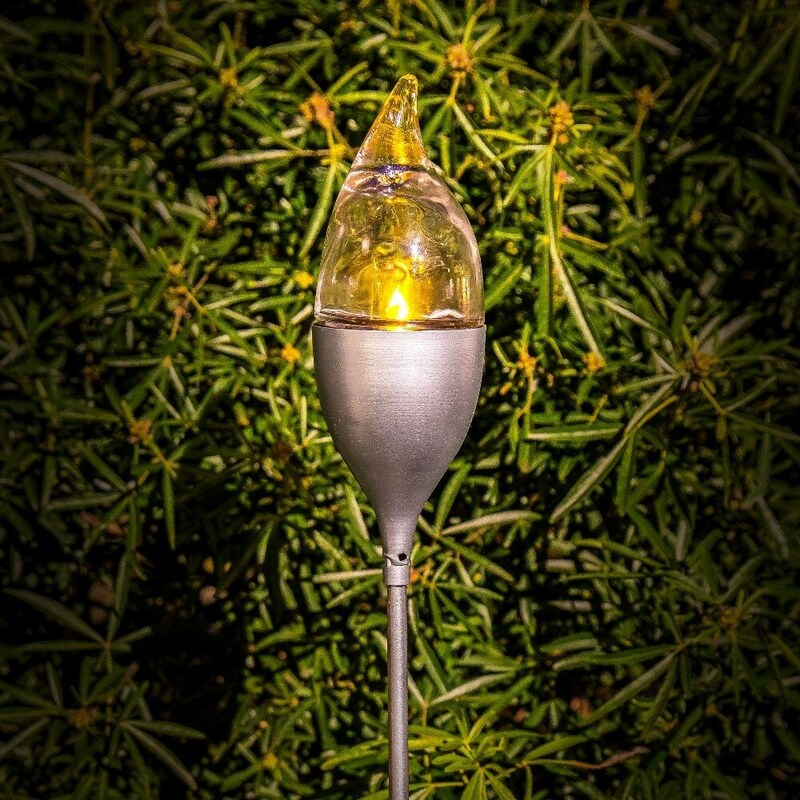 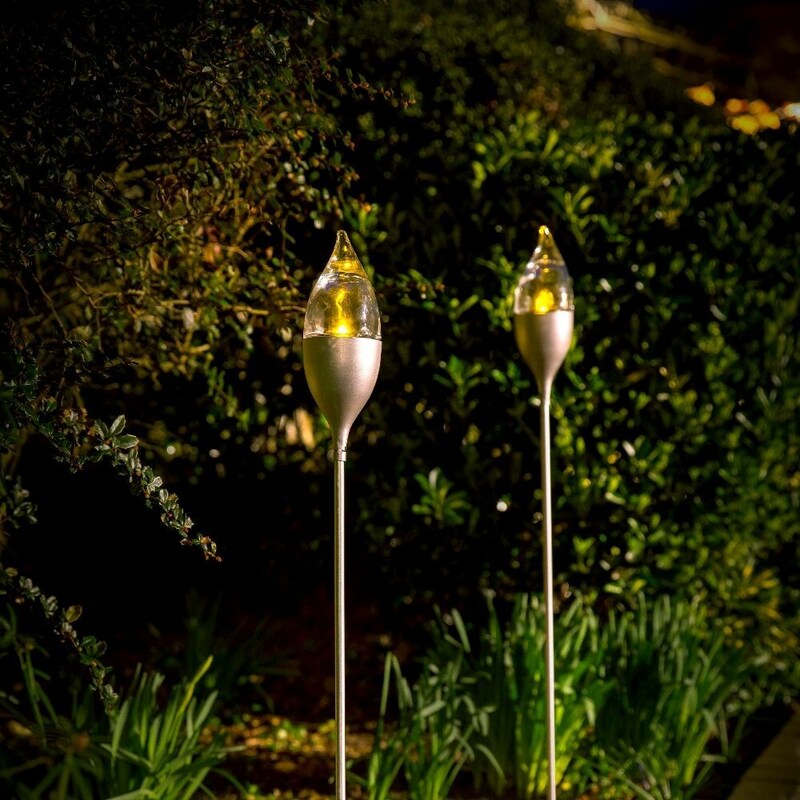 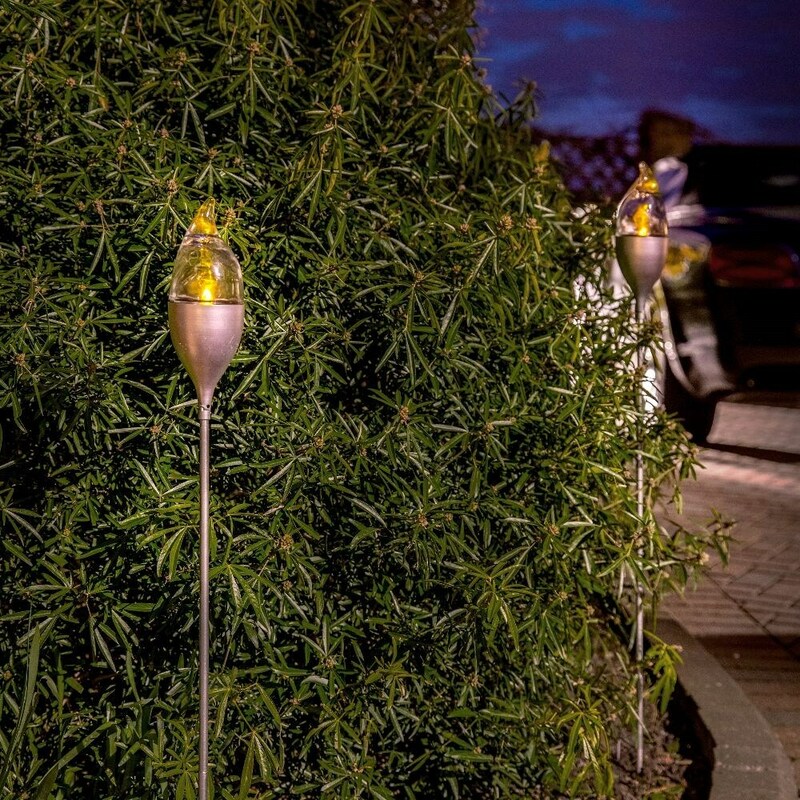 Enjoy the warm glow of firelight anywhere in the garden - on a patio or deck, in among plants in the border or beside an entrance - with this solar LED torch stake. 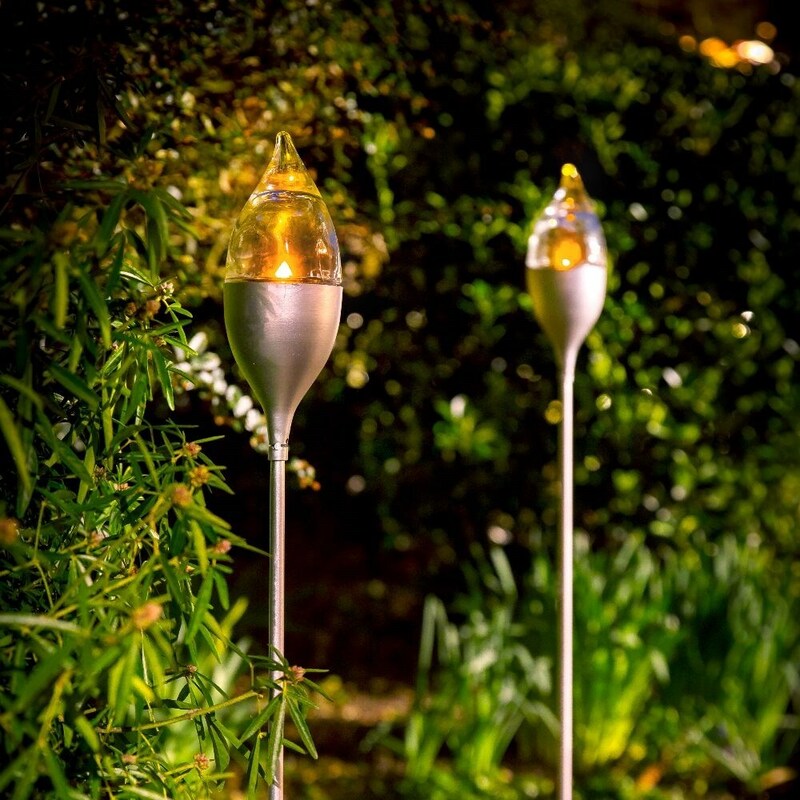 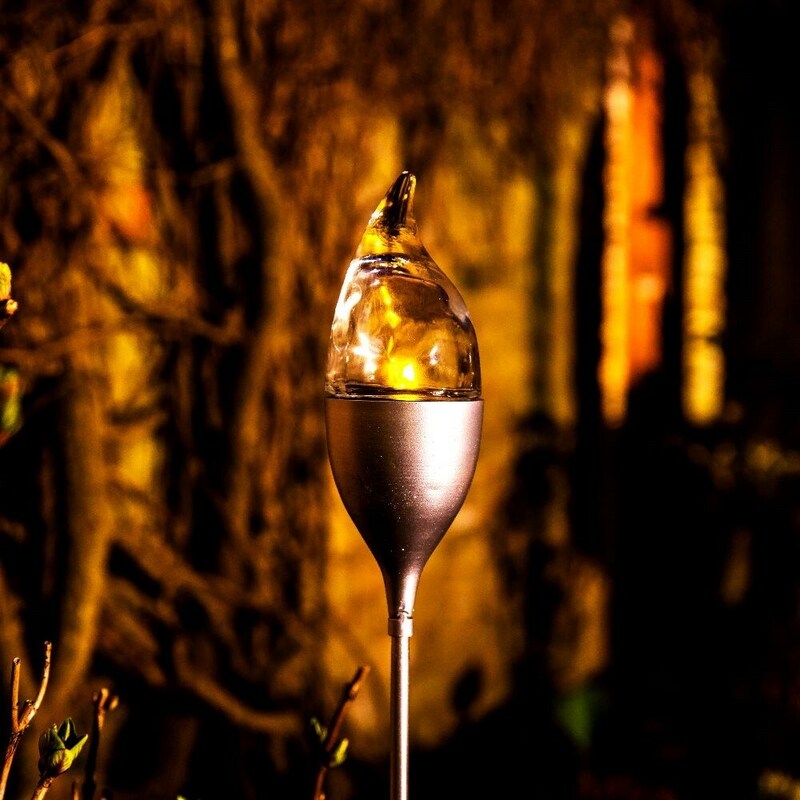 Featuring an amber LED in a glass lens shaped to resemble a flickering flame, it makes a safe, energy-efficient and low-maintenance alternative to candle lanterns. 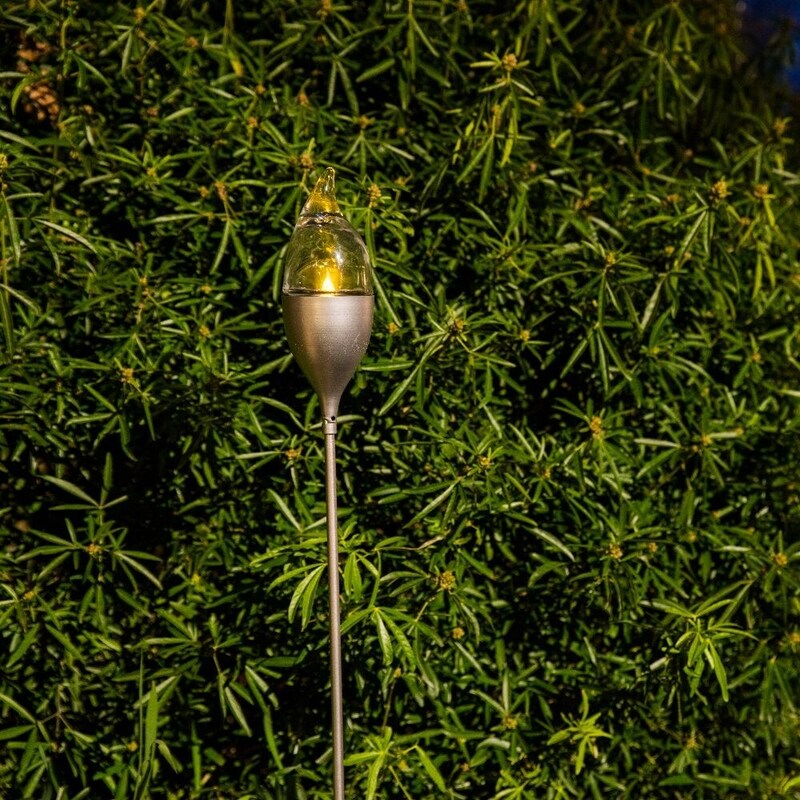 Left in place, the light will operate all year round with no intervention - the solar panel charging in daylight and the dusk sensor with 6-hour timer activating the LED when night falls.